Our body is like a machine that becomes less efficient with time. By the age of 30, some of our hormones begin to drop, and some of our collagen breakdown faster than we can build them. Our veins and arteries become clogged so the distribution of the nutrients we take from the food we eat also become compromised; and these phenomenon becomes evident with our skin and our face. As a practicing medical doctor before pursuing a specialization in cosmetics and plastic surgery, Prof. Somyos Kunachak perfectly understands that beauty comes from the inside, and so he believes not just in taking care of skin from the outside but most especially on the inside. HOW DO YOU TAKE CARE OF YOUR SKIN FROM THE INSIDE? It may take long to recover the efficiency of our body which we’ve lost with aging, but it will be worth the try as it will have long term benefits on you. Procedures such as hormonal therapy, chelation, detoxification, and simple relaxation will benefit us in the long run, along with eating healthy foods and exercising. For a quick fix however, we have procedures and treatments that will have immediate results such as mesolift therapy. Mesolift therapy is a procedure that involves delivering vitamins, minerals, and amino acids directly to the target area (skin) will thus ensure that the nutrients that the skin needs to look young and fresh are available. These nutrients will then promote rejuvenation, and stimulate the production of new collagen and elastin which will in turn give your skin a more radiant and youthful glow. HOW IS MESOLIFT THERAPY DONE? 1. Vitamin A – acts of the flexibility of the skin by regulating the growth of epidermal cells. 9. Coenzymes – stimulates the synthesis of noble proteins of the skin therefore renewing the whole structure. Since the procedure is non-surgical in nature, there is typically no down time and patients can do it on a lunch time break. HOW IS MESOLIFT DIFFERENT FROM BOTOX WHICH IS ALSO AN INJECTION? Mesolift works on the skin while botox works on the muscle. Basically, you can have botox injections on your face so you will not have wrinkles, but it will not change the quality of your skin. Same goes for mesolift, it will improve your facial skin along, make your pores finer, make your skin glow, but your frown lines will still be there. WHAT SHOULD YOU KNOW ABOUT MESOLIFT? Mesolift is a form of mesotherapy for the face to replenish the nutrients that our skin needs to bring back its natural glow. The effect of mesotherapy is not permanent as we will still continue to age so patients who would like to maintain the result of this treatment may need to do the procedure several times a year. Basically, it is just a form of delivering the nutrients that our skin needs, and once that nutrients is used up, then the effect will start to wear off. It is not a substitute for any surgery and it doesn’t work like botox but it can work well with botox. The treatment can be done in other areas of the body, but the composition of the solution will be modified for specific need of the area and the target result, for example, mesotherapy for slimming will contain different nutrients than the mesolift for the face. Mesolift can be done in combination with hyaluronic acid fillers for better results. 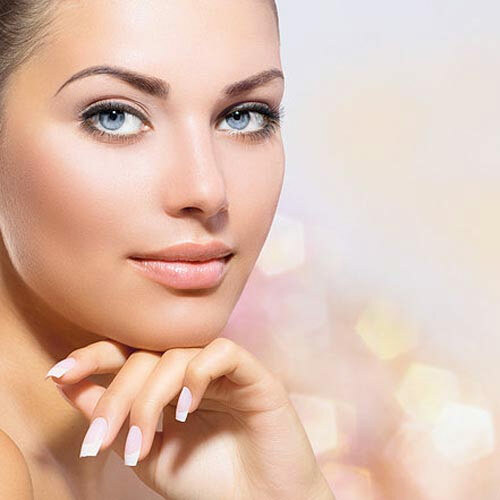 The solution used for mesolift may slightly differ from center to center with regards to the amount of nutrients present or the concentration of each so it is best to have the procedure done with a trusted cosmetic surgical center such as Yoskarn Clinic. With more than 30 years of experience in cosmetics, anti-aging, and holistic medicine, we’ve maintained our fame but the quality of our services. We also take the extra mile in offering services to our patients by affiliating with hotel where our patients can stay. Aphrodite Inn, a hotel sitting just beside our clinic, is located right at the middle of the shopping capital of Bangkok making it convenient for guests to go around and enjoy their vacation without the inconvenience of travelling in the middle of the busy streets of Bangkok. In Aphrodite Inn, the biggest malls and shopping centers are just within walking distance and most of the tourist attractions are just within a few kilometers away. It may take long to recover the efficiency of our body which we’ve lost with aging, but it will be worth the try as it will have long term benefits on you.